Hertog has written a conceptually ambitious book about genuinely interesting women. The success of her experiment rests in large part on whether she can make the links between Thompson and West seem organic—and illustrative of something greater than each of them alone. She is most successful in her fine accounts of their turbulent personal lives. About the crucial question of their work, her twinned approach is more problematic. Dorothy Thompson was born in 1893 in a small town in upstate New York. Her father was a Methodist preacher, and Dorothy remained devoutly religious, albeit in a somewhat peculiar way, throughout her life. Journalism, she wrote in 1953, encompassed “the teachings of Jesus Christ regarding the operation of cause and effect in the spiritual life of the individual and the community.” (This is not the conception held by most journalists.) Her mother died from an illegal abortion when Dorothy was eight; her father—who praised Dorothy as his “child-wife”—subsequently remarried, foisting on his daughter a witchy stepmother whom she loathed. But the proverbial silver lining appeared: Dorothy was sent away to a progressive school and then to Syracuse University, at a time when only 3.8 percent of college-age women were enrolled in higher education. Thompson considered herself a modern woman who valued science and reason, and after graduation she began working for the suffragist movement. In 1920, with $150 in her pocket, she travelled to Europe, where she became a foreign correspondent, initially for the Public Ledger of Philadelphia.Covering Vienna and the Balkans, she had a front-row seat from which to observe the rise of fascism. (In 1934, she had the honor of being the first foreign journalist to be kicked out of Nazi Germany.) But it was as a public speaker, newspaper columnist—syndicated to an astonishing 180 papers—and radio commentator that she would attain the most fame, wealth, and power; in the 1940s she was one of the most influential women in America. Rebecca West, too, was schooled in female vulnerability as a child, though her early years are as typically late-Victorian English as Thompson’s were emblematic of small-town America at the optimistic turn-of-the-century. She was born Cicely Isabel Fairfield, in a “shabby Victorian house” in London, in 1892. Nine years later, her father abandoned his wife and three daughters, condemning them to “the shame of penury and social ostracism.” According to Hertog, this betrayal indelibly marked West’s life and led to a lifelong obsession with treason. Thompson and Lewis specialized in stormy separations and reconciliations. As Hertog perceptively writes, “absence was their aphrodisiac; carnal presence crushed their magic.” The birth of a son, Michael, when Dorothy was thirty-seven, did little to make this household merrier: Thompson felt stifled by domesticity, and Lewis was increasingly indifferent to his child. The unfortunate boy was sent to boarding school in far-off Arizona at the age of eight. (A family photo of the three, dated 1932, looks as though it was shot by Diane Arbus.) In 1939,after years of mutually assured destruction, Lewis asked Thompson for a divorce (by then Red had an eighteen-year-old paramour). When it came to pain, West’s personal life was even worse—and she lacked Thompson’s shields of bombast, wealth, religious faith, and American optimism. Thompson was a true bourgeois: “I loathe the proletariat,” she wrote when she had trouble finding a suitably undemanding servant. But West, at least for periods of her life, was both poor and a social outcast—though also, in that shabby-chic way in which Britain specialized, a member of its literary elite. The defining event of her romantic life occurred when, at the age of nineteen, she met the much-older H.G. Wells, who was devoutly committed both to his wife and to his pursuit of extra-marital pleasures. MOST READERS—or at least most women—will have great sympathy for Thompson and West as they attempted to forge lives that encompassed challenging work, sexual fulfillment, motherhood, emotional equality, and love. (Theirs was a struggle that continues to this day, though the odds of success are now higher.) One can only be moved by Dorothy’s admission to Red: “I wish in my heart very often that I could abandon the world for you. But—it’s no good—I can’t. The world was my first love and I have a faithful heart.” It would be disingenuous to claim that the romantic sufferings and byzantine relationships of these many famous people are not interesting. But they are interesting only to a point. Hundreds of pages of arguments, separations, reconciliations, breakdowns, betrayals, affairs, marriages, divorces, and resentful children wear the reader down; it is hard to sustain a sense of empathy with these melodramatic protagonists. The words “narcissistic personality disorder” are likely to flit into the reader’s mind more than once—as, for instance, when she reads that Thompson compared herself to Joan of Arc. But what of the work—which is, after all, why Thompson and West interest us? Here is where Hertog’s book falters, and where the linkage of these two writers comes to seem thin. Thompson was a powerful journalist, but certainly not a great one; her work does not offer either the historical depth or the political acumen achieved by contemporaries such as Gunther, Sheean, William Shirer, or, especially, Martha Gellhorn. (Thompson’s book I Saw Hitler!, in which she dismissed the madman as “inconsequential”—in 1932!—is a textbook case of a journalist getting it wrong.) And her politics became increasingly batty. I wish Hertog had done more to help us wade through them. In the postwar years, Thompson’s Christian fervor combined with her equally fervent anti-Communism to produce a strange, apocalyptic brew as she “augured cosmic destruction” and predicted another war, this time to “punish Sin.” Hertog deals with all this by concluding, delicately, that Thompson’s “literary legacy did not extend beyond her death.” But, Hertog adds, “what does survive is her Christian ethic of hard work and honesty, and her belief in divine salvation and … the principles of the Founding Fathers.” This hardly seems enough. Neither Thompson’s nor West’s politics wore well; it was in the anti-fascist years of the 1930s and early 1940s that they distinguished themselves. After the war, both were “obsessed with the idea of a Soviet Communist takeover from within,” and their politics assumed more than a tinge of hysteria. And both became paranoid, with West, in particular, convinced that her son was part of an international Communist conspiracy to destroy her. Each had what seems like a fairly lonely, bitter, and bewildered old age. “I find today that the ‘success’ I had means nothing to me whatsoever,” Thompson wrote in her diary in 1959. 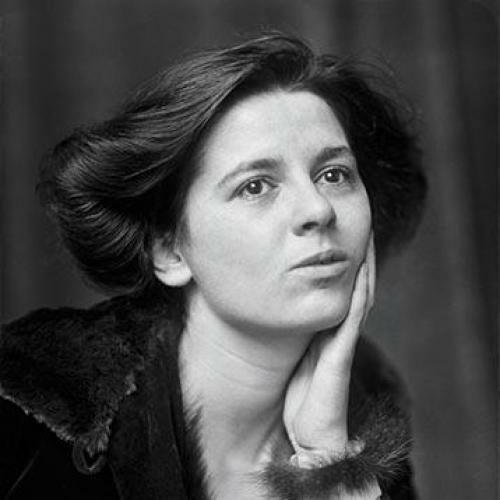 “I wonder what exactly went wrong.”Several years earlier, West had written, “I sit here in Paris and feel that I have got damned little out of life and have been monstrously prevented from using my gifts.” Thompson died in 1961 of a heart attack (her fourth);West, of pneumonia, in 1983. HERTOG VIEWS THOMPSON and West, rightly, as proto-feminists, for they were “courageous and ambitious” at a time when women were punished for being either. (In the mid-1930s, 82 percent of Americans polled believed that women should not work outside the home.) And the two women were caught in an unsolvable contradiction, which Hertog perfectly describes: “They hungered to be loved and cherished according to Victorian myth, even as they rejected the myth, and the men who embraced it rejected them.” For each, the personal truly was the political, even if they could not always understand exactly how or why. As women—though not as writers—they were caged birds, albeit with vibrant plumage. More problematic is Hertog’s dependence on speculation. Dangerous Ambition is stuffed with purported remembrances, thoughts, and feelings (including those of children), emotional and sexual intimacies, and scenes of great drama. Do they come from Thompson and West, or from Hertog? A good biographer should have a sympathetic imagination, and Hertog certainly has one. In her introduction, she admits that “unadulterated conjecture” is “part of the [biographical] game.” But when taken too far the game creates a lack of trust between a biographer and her readers. And since Hertog includes only direct quotes in her endnotes, it is often impossible to know what is factual and what is something else. The problem is telegraphed from the book’s first lines. “Still in her dressing gown, Dorothy leaned against the balustrade, devouring the heat of the midday sun,” Hertog begins. “The grandeur of human technology made human life seem small and weak, lost in the body of a great machine pushing Germany with astonishing speed … Dorothy couldn’t decide if it was paradise or purgatory.” Is this fact? Is it fiction? Does the distinction not matter? Here are two typical sentences: “Captivated by his erudite mind, his photographic memory, and clever wit, Rebecca found that he reminded her of H.G. and her father. Max [Beaverbrook] made her feel uniquely desirable and was as facile in bed as he was in conversation.” Every line of this book may well be true, but in too many instances there is no way of knowing. Then there is the matter of those things we do know, but that Hertog does not. A large number of errors mar Dangerous Ambition. Lenin was not “impelled” to end Russia’s participation in World War I by “the slow and painful process of bringing the Bolshevik society into place”; on the contrary, he had staunchly opposed the war from its outset, and ending it was a key, non-negotiable part of the Bolshevik platform from the start. (It was precisely this issue that split the Second International in 1914.) France did not lose “six million” people “on the front” in World War I; most historians cite 1.35 million as the actual number. Jews were not “considered traitors” to the Weimar Republic; anti-Semites and anti-democrats opposed the republic itself, which was considered, if anything, too Jewish. Germans were not “eager” to accept Hitler’s “vision” in 1925; in the 1924 elections, the Nazis won three percent of the vote; in 1928, they fared even worse. The conservative Nationalist Party was not “the only other party besides the Communists [and Nazis] to get substantial votes” in the 1932 elections; the Social Democrats won almost eight million votes to the Communists’ 5.7 million (and the Nazis’ 13.7 million—one can only speculate, with anguish, on what could have been had the two left-wing parties united). Dismissing Maxim Gorky as “Stalin’s literary strongman” and Josip Tito, then leader of the Yugoslav resistance, as a “duplicitous … slippery Soviet puppet” hardly does them justice. Hertog concludes her tale by bemoaning the price that Dorothy’s and Rebecca’s husbands and children paid for the women’s ambitions. The lesson of these writers’ lives, she suggests, is that “one must live reasonably and compassionately within the constraints of one’s time, and dare to create and transcend within the time-honored moral traditions of Judeo-Christian society.” This is a somewhat cryptic thought, but by “moral traditions” Hertog refers, I assume, to the social and the sexual—and, one must add, sexist—constraints against which Thompson and West chafed. But it is hard to imagine their lives or their accomplishments without that chafing. Yet I agree wholeheartedly with Hertog when she urges today’s readers to approach Thompson and West with humility: they lived, after all, at a time when female self-realization “required superhuman tenacity and grit.” The feminist movements of the past fifty years have made an immense difference—in law, in love, in work—and it may be difficult for us to grasp “the anguish of their struggle or the depth of their pain.” Hertog wisely warns us against the perils of smug superiority. Still, breaking the constraints of one’s time is how history, including personal history, is made. I finished this book feeling sad that West and Thompson—who were victims of their romantic delusions, their neuroses, and their societies’ repressive social structures—were often so miserable as they forged ahead. If they were pioneers, they were tragic ones. Susan Hertog ably restores them to the attention of a new—and, for many contemporary women, less unforgiving—time. Susie Linfield is author of The Cruel Radiance: Photography and Political Violence. She directs the Cultural Reporting and Criticism program at New York University, where she is an associate professor of journalism.